AFS is committed to providing opportunities for young people to participate in programs regardless of their financial situation. That’s why AFS works with a wide variety of corporate and community sponsors to help finance AFS programs through scholarships. AFS offers both full and partial scholarships to a range of destinations. Scholarships are available for AFS Intensive Programs, Semester Programs and Year Programs to students seeking a life-defining experience abroad. Competition for scholarships varies and recipients are selected on a variety of factors including cultural awareness, community involvement and consistent academic achievement. What are you looking to apply for? There are a variety of program discounts available, including family discounts. These scholarships are offered by corporate sponsors and have very specific eligibility criteria in regards to which students can apply (usually these are only available to students with family members who are employees of those companies). These scholarships are offered by corporate sponsors or AFS, and are open to any student, so long as they meet the general eligibility criteria for AFS programs. What if I don’t receive a scholarship? AFS offers excellent scholarship opportunities. Hundreds of candidates apply for scholarships each year but unfortunately not everyone can be awarded one. Even though you might not be awarded a scholarship you might still decide to participate on an AFS Program. If you and your family decide that you will continue your participation, contact the AFS Sending Team to discuss your program options and relevant program fees. AFS offers various discounts and special offers throughout the year. Check back here regularly to be kept up to date when new discounts are released. This discount is available all year round for past host families, participants and volunteer family members. Save 10% off the total program fee! We want to say thank you to our past participants, host families and volunteers and give you the opportunity to send an immediate family member away and save 10% off the total program fee. Available to a student who is an immediate family member (sibling, child, grandchild, niece/nephew) of an AFS returnee, AFS volunteer or AFS Host Family. Note this excludes reciprocal programs. Scholarship recipients are not eligible for further program discounts as they are already heavily reduced. You must complete either the Intensive Program or Student Exchange Application. To confirm eligibility of the scholarship, you need to email [email protected] with confirmation of relation to an AFS volunteer, host family or returnee. Thanks to the generosity and support of corporate and community donors, AFS offers a range of scholarships which cover all or part of the AFS program fee. Competition for scholarships varies, and recipients are selected on a number of criteria including cultural awareness, community involvement and consistent academic achievement. Public scholarships are open to all eligible Australian students. These scholarships are offered by the AFS Scholarship Fund to help meet the program fee for AFS Semester Programs and Trimester Programs. Application deadline 1st July 2019 for Programs departing January/February/March 2020. You are a secondary school student currently studying Year 8, 9 or 10 at an Australian school at the time of your application (you must plan to complete your AFS Semester or Trimester Program prior to commencing Year 11 in Australia). You plan to complete Year 11 and Year 12 on return from your AFS Semester or Trimester Program. You commit to meet school attendance and participation requirements in your AFS host country. You demonstrate that you have a keen interest and a desire to learn; are willing to fully commit to the requirements of an AFS Semester or Trimester program; and understand the challenges and opportunities offered through an AFS intercultural experience. You complete an AFS Application Form and meet all requirements for an AFS Semester or Trimester Program in your nominated host country. You are willing to provide program updates (video, audio and/or written) and photos to AFS about your experience. What is the value of an AFS Scholarship? The amount of an AFS Scholarship will depend on the duration and destination of your chosen AFS program, based on merit and financial need. Standard merit-based scholarships are up to 40% of the applicable AFS Semester or Trimester Program fee for your nominated host country destination. If successful students’ parent or guardian holds a current healthcare or pensioner concession card that lists the student by name, the scholarship may cover up to the full value of the applicable participation fee. Note: Applicants whose parent or guardian holds a current healthcare or pensioner concession card that lists them by name, may have the application fee waived. Please contact the office for more information. Start exploring our Semester and Trimester Programs which are available for January/February/March and August/September departures! You can start your application for a Semester or Trimester Program here. For additional information, please contact our Sending Team on [email protected] or 02 9215 0077. J-Power (Australia), a division of the Japan-based Electric Power Development Co. Ltd, has been working in partnership with AFS since 1993. In this time J-Power has sponsored 25 students to take up the challenge to live and study for one year in Japan. This scholarship will cover the full program fee for a year high school program to Japan departing in the first half of 2020. Completes the AFS online application process, including payment of the required deposits as part of the application process. Willing to provide program updates and photos to AFS and J-Power. Click here to start an application now! Ministry of Education, Culture, Sports, Science and Technology – Japan in conjunction with AFS Intercultural Programs are offering an opportunity for Australian students of Japanese to visit Japan as a part of the MEXT program. This scholarship is for a 4-week intensive high school program to Japan departing early October and returning early November 2019. This scholarship covers half of the total program fee of $7,500. The total cost to each participant is therefore only $3,750! Since 2006, Japan Australia LNG (MIMI) has supported 23 students to take up the challenge of living and studying in Japan for one year, and is now offering the great opportunity again for two Australian students! This scholarship will cover $5000 off the total program fee of $11,900 for 2 x year high school programs to Japan departing in early 2020. Willing to provide program updates and photos to AFS and MIMI. Students must also complete the AFS Application for the program they wish to participate in and meet all the AFS criteria for the program. have not participated in another VYLC Program. demonstrated personal qualities to act as a “representative” of their school and Victoria. $6,000 per student where the student is named as a current healthcare or pensioner concession card that lists the student by name. Parents/guardians will be responsible for all other related costs. The student’s parents/guardians will act as the grant recipient and be responsible for managing all grant expenditure and reporting as well as organisational arrangements in conjunction with their selected SEO. The grant is paid in two parts, with the majority paid upon demonstrating that the student has been accepted into a Chinese language study program by an SEO. The balance is paid upon demonstrating completion of the program. Click here to start an AFS application now! Thanks to the generosity and support of corporate donors, AFS offers a range of scholarships which cover all or part of the AFS program fee. Competition for scholarships varies, and recipients are selected according to a number of criteria including cultural awareness, community involvement and consistent academic achievement. One scholarship is available to immediate family members (sibling, child or grandchild) of a Linfox employee. Click here to find out more on our programs. 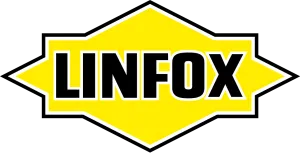 Click here for further information on Linfox. Full scholarships (valued $7,500 each) for the Intensive Program to Italy, Germany, France or China departing late 2019. One scholarship is available to immediate family members (sibling, child or grandchild) of a Visy employee. 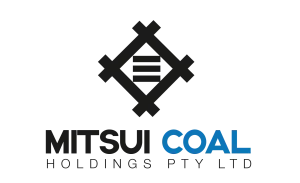 In 2019 we have one scholarship available to children of employees of Mitsui Coal who work at Dawson, Kestrel or Capcoal mines; the other is available to a student studying at Moura High School. One scholarship is available to a student studying at Hedland Senior High School and one is available to a student studying at Newman Senior High School.